Five different trucks, but they all have something in common. 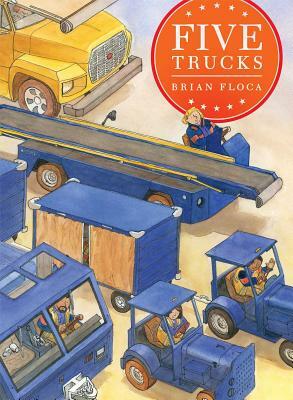 With delightful illustrations, and bit of a surprise, this book will be a favorite of your small truck lover. Trucks of different shapes and sizes share one important purpose in this classic picture book from the bestselling creator of Moonshot and Locomotive. each has a job to do. They hurry to be on time. Originally published in 1999 by DK, Five Trucks features a new cover and plenty of exciting machines!